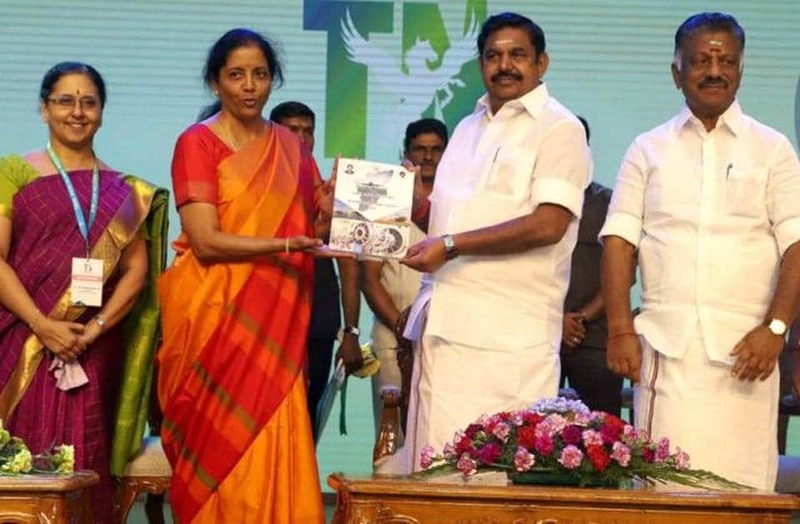 Tthe Global Investors Meet (GIM) 2019, the first biggest event for the Edappadi K. Palaniswami government, began in Chennai on Wednesday. The policy document was released by Defence Minister Nirmala Sitharaman, the guest of honour for the event. The meet is crucial for the State government, as neighbouring States, such as Andhra Pradesh and Telangana, have managed to woo big names in the last two years. GIM 2019 is expected to see several big-ticket investments in the State. At the first Cabinet meeting, the Tamil Nadu government gave its nod for investments proposals totalling over ₹16,000 crore. Investments worth ₹32,000 crore got the green signal at the second meeting. At the third Cabinet meeting, investments worth over ₹15,000 crore were cleared.